I had a dream from my young age about enjoying a week end by staying in a British bungalow that must be located in a hill station. Every morning I would open the window and Snowy Mountain would bless me. Right from my childhood days I have a bad reputation of over dreaming. I added more spices in that dream like that bungalow must have a lawn where I could sit with coffee on a deck chair and sunrays would make me warm in the cold morning. Since I am a reader of British literature, it was expected that the fire places would make my evening and night cozy. 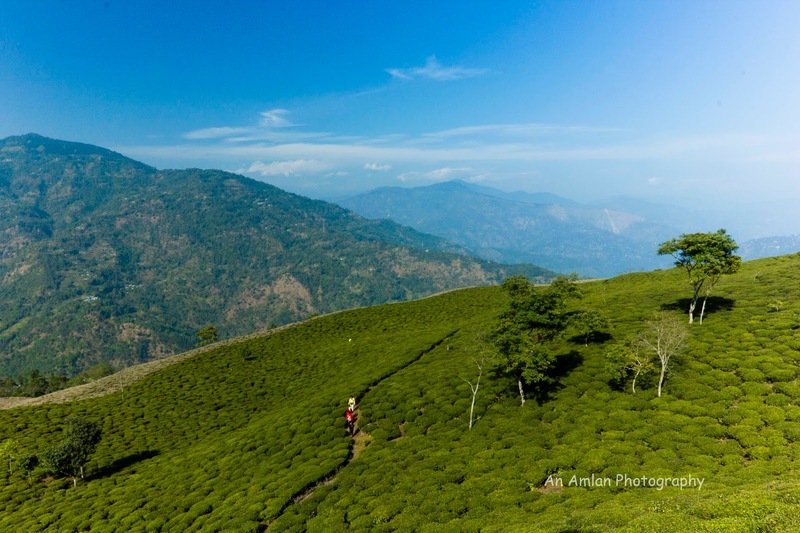 When my friend Avra told me about going at Takdah in late December, prima facie, I nodded my head as hill station is my favorite most vacation place. But till that time I did not know much about Takdah. 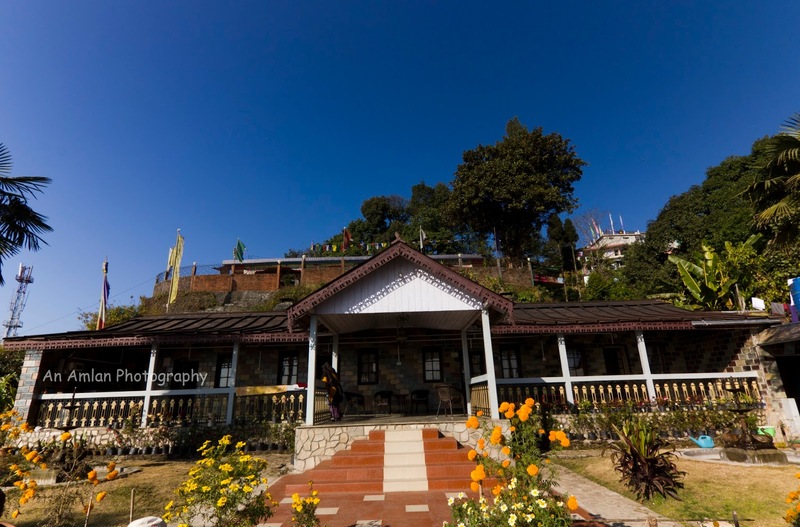 It is my habit to study a lot about any place before going there, same practice drove me to acquire knowledge about Takdah and I found there is a British bungalow – Saino Heritage Guest House. I requested Avra to book that bungalow. Avra smiled and said that he had already booked that one. I thanked him a lot. 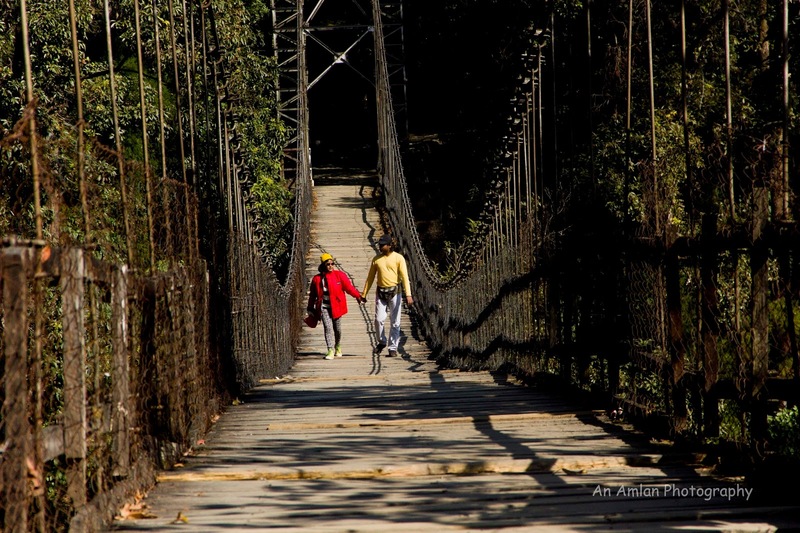 Located at Kalimpong sub division, Takdah can be reached by two ways – either from Hill Cart Road (Siliguri-Kurseong-Ghum) or from Teesta Bazar. We took the first option as we were coming from Dhotrey. One can go from Darjeeling also. This is the time to introduce my team mates. It was a big team of 8 people. My friendly couple Avra and his wife Shipra, Avimanyu and Hiya, my friend Sumanta and another friendly couple Mrs. And Mr. Dey. I was the youngest member in the team. We reached Takdah at around 1.30PM. 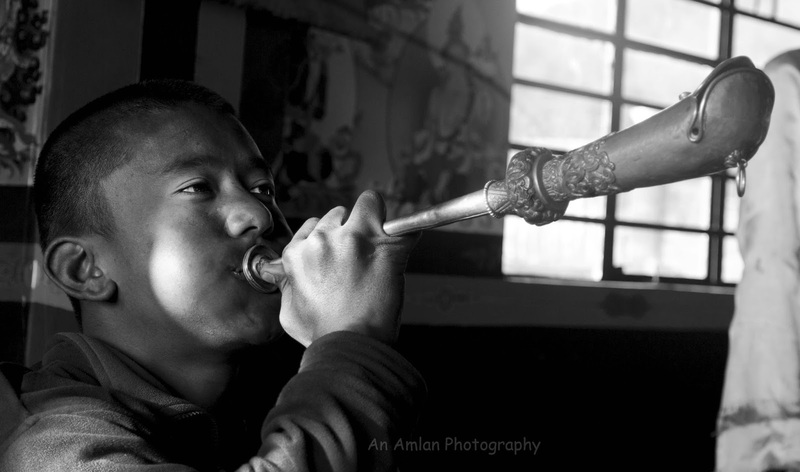 At the very beginning, the owner of the bungalow Mr. Pradhan welcomed us and asked a boy to serve complementary tea. With the cup of tea I entered into the room and it impressed me a lot. I said myself “Hey Amlan, this is the place of your dream”. The room reflects the British aristocracy. We were a bit tired and hungry, so we got freshened up and had lunch. After lunch, we started walking through the road. The greenery of pine forest impressed us a lot. Our lungs got some pleasure of breathing fresh air. Takdah monastery is adjacent to the Bungalow. We visited there in the late afternoon. Monastery is always my favorite place. Interior of the monastery is really beautiful. The walls are decorated by various Buddha paintings that depict the stories of Jataka. An old lama is there with some young lamas. 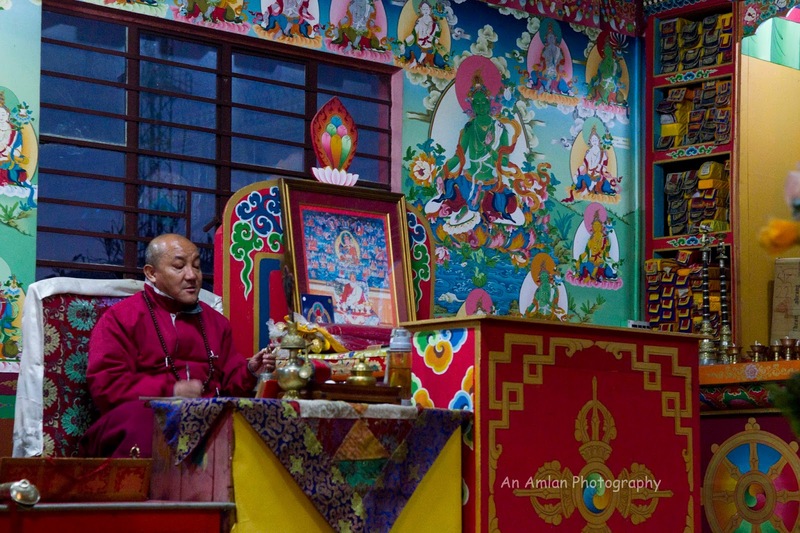 Since all of us are fond of Buddha culture, we requested the old lama to allow us during the evening prayer. He is a proper gentleman with full of wit. First he welcomed us by Buddhist modesty scarf and then granted the permission. We touched his feet and sat at the corner of the monastery. We saw the prayer and after that spent a long time with the veteran lama. Then he offered chocolates. We thanked him and came out of the monastery. In the evening, the fireplace got ignited. We enjoyed the cozy environment by chit-chatting accompanied by mouthwatering snacks and warm drink. Next morning we got up a bit early and prepared ourselves soon. The morning was a bit cloudy, so I did not see Mt. Kanchanjungha. By that time our car came and we started for some sight-seeing. First we went to a hanging bridge. The road was not that much motor able. So we got down just before 1km of the bridge and trekked down to the bridge. The bridge is very photogenic. We spent some time there. 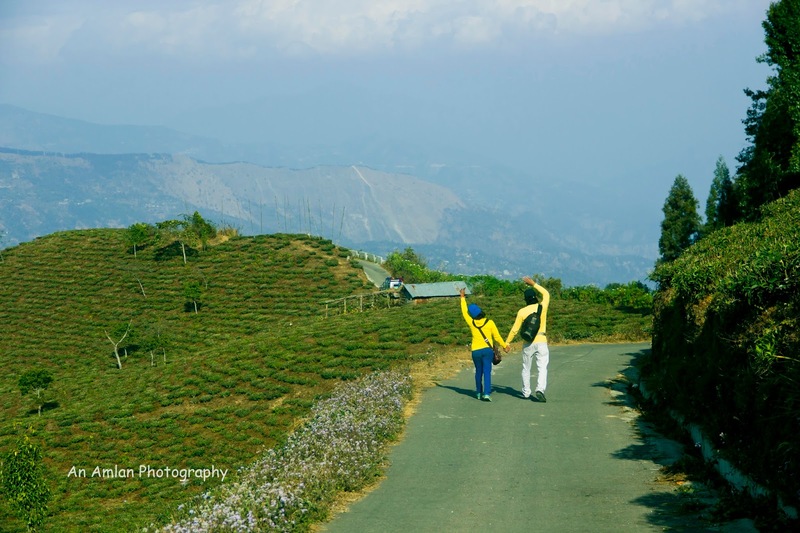 Our next destination was Peshok tea garden. This is the most beautiful place near Takdah. Our driver drove us to the Sunset point of the tea garden. We got down from the car and the lush greenery of the garden gave our eyes a great pleasure. Meanwhile the sky got clear and Mount Kabru North was slightly visible, slightly because, there were some cloud on the northern sky and the snow peaks were just behind the cloud. Spending more than 3 hours we decided to have lunch at Teesta Bazar because our next destination was on the bank of the River Teesta. Bank of the river Teesta did not impress us as the place was very dusty. We came back quickly and our driver suggested us to go to Orange Garden. We did not get much photograph in the Orage Garden as it was about to dark. We came back to the Bungalow. Next morning we got up late and went to the adjacent Takdah Monastery again. We had a nice chit chat with the veteran lama. Meanwhile, our car came. We had lunch and left for New Jalpaiguri to get the train for Kolkata. Train to NJP or flight to Siliguri followed by car from Siliguri/ NJP can reach you to Takdah by two ways – either from Hill Cart Road (Siliguri-Kurseong-Ghum) or from Teesta Bazar. You can also take a car from Darjeeling to Takdah. Saino Heritage Guest House is the best place to stay at Takdah. I have planned already to stay at Saino in Takdah. Thanks for sharing your experience and the beautiful photographs. I am travelling with my family in December end, so presumably it be too cold and foggy. Please let me know of some good view points nearby Saino from where we can enjoy the view of vast mountain. I am a shutterbug too, looking for some locations I must explore. Dear Dhiman,For view, you need to go to Peshoke Tea garden.